They can be found in many different places and these places have different conditions so did they start to differ between each other. As one could imagine, they can be found all over the place. 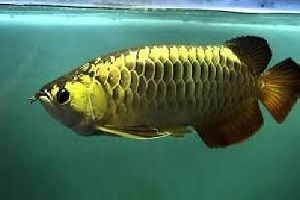 The rarest and most precious ones being the Asian Arowanas. Quite coincidentally, they are also the one with the biggest chance to go extinct as their number decrease every year. This has to do with the many myths surrounding this fish. The most prominent one being that it has lucky properties! 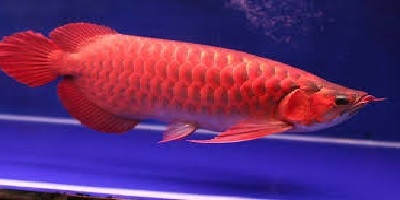 The first thing you will notice when you take a look at an Arowana is that they can get very long. Some of them reaching up to 36 inches. This means that if you want to keep an Arowana, you will have to ensure that it is accommodated in a large aquarium of at least 180 gallons when it’s fully grown. If one had to comment on the way they interact with their environments, I would describe them as moderately aggressive. They mark their territories and don’t appreciate any sort of infringement on it, becoming really aggravated if a breach were to occur. This can also become a problem once you – their care giver – try and put your hand into the aquarium to clean. They aren’t appreciative of foreign objects entering their home. If one is serious about keeping an Arowana fish, I would heartily recommend buying aquariums that are at least 75 gallons, and that’s just temporary! Later on, as it grows bigger, you should seriously consider expanding to an aquarium to at least 180 gallons as these fish grow long. If you plan on keeping multiple arowanas, a larger tank is a must, we’re talking 300+ gallons. A lack of space may cause a stunt in their growth, but if they happen to grow regardless of their tank size they may be unable to turn within the aquarium. A good thing about Arowanas is that they are naturally resilient creatures. They tend to do well in all sorts of conditions and refuse to falter even after sustained exposure to poor tank conditions. This doesn’t mean you can have no filter. Arowanas are MESSY eaters. We recommend using the best canister filter you can find. They provide excellent filtration for large aquariums not only by sucking up uneaten food and debris but by adding volume and adding flow. If I had to give a definite pH amount, it would be 6, but some of them are kept at ranges that go as low as 4 and as high as 8. They prefer pH of 6.7 to 7.5. In regards to temperature, they like it warm and ideally they would prefer it to be 75 to 86 degrees Fahrenheit (24-30 degrees Celsius). Just keep in mind not to deviate that much and use this information with care in mind. Look into investing into a powerhead to provide flow. 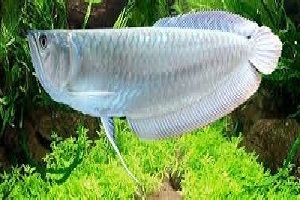 The water should be constant and ‘aggressive’, just like the Arowana fish is. That will allow them to move and play around the aquarium, just how they like it best! 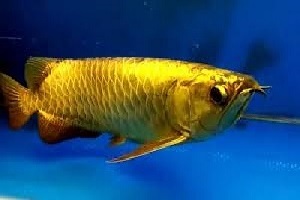 Most Arowana owners want their pets to be a certain color. That’s how they decide on the different light products they would want to use. I would recommend any aquarium LED light, not too much light but it should definitely bring out the colors of your arowana. Remember to keep the lights out while the Arowana is sleeping. Arowanas are predators. Of course, one should provide them with a balanced and varied diet but let’s not forget that they like other animals the most when it comes to food. You can also feed smaller fish but DON’T do this often as Arowanas have been known to have problems with their eyes as a result of fat building up in their eye tissue! This condition, named Drop-Eye has a lot of myths surrounding it. 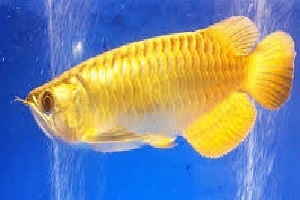 Some believe that it is caused by the Arowana’s constantly looking down but the truth is much more different. If you overexpose it to light, feed it poorly, or create an environment that stresses out the Arowana, Drop-Eye is bound to appear! The best food for monster fish are pellets. They rid the chance of parasites or diseases of being passed over. Getting two Arowana’s to mate is hard. This fact is only exacerbated by them being in captivity. There is a reason why they are a dying species, one of them being their slow matters of reproduction. In the wild, it may take weeks or months for two Arowanas to bond. They do so by biting each other’s tail and chasing each other around the water, which could be labeled as their mating ritual.